Putting a brave, furry face on it on the inside, 2013. I opted for a low maintenance look. In Richmond, about ten months after being sprung, in 2015. Garrett is a humanist humorist or vice versa. Enthusiast of golf, writing, reading, podcasts, popular music, concerts, dancing, and superb car stereo sound. Now living in Richmond, VA, working in the snack and beverage vending industry. Formerly worked as on-air radio and voice talent, stand-up comic, courier, waiter, video blog host, limo driver. 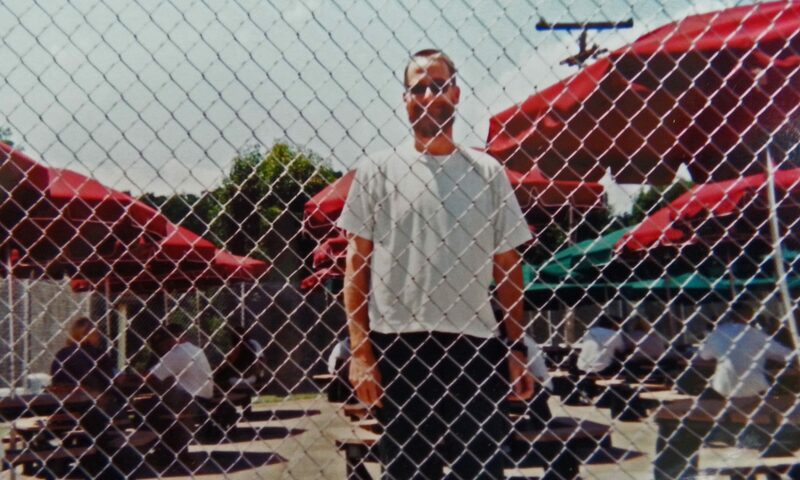 Currently seeking representation for Lookout for Shorts (Prison Memoir of a Drug War Casualty).